Derek Vaughan MEP joined Nia Griffith MP and Keith Davies AM on a visit to the Llanelli Tesco ‘s store on Friday to meet Usdaw trade union members who are taking up opportunities to improve their skills. 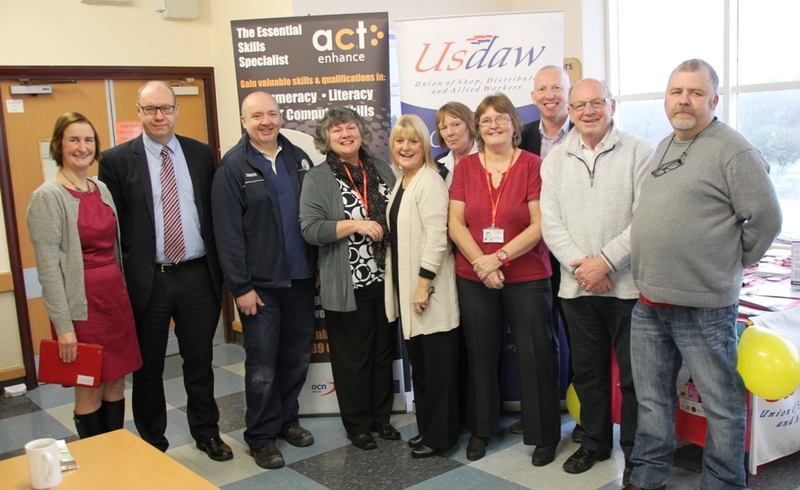 With financial support from the European Union and from Welsh Government and practical organising support from Usdaw trade union reps, the Wales Union Learning Fund is enabling employees to learn new skills. Locally Tesco’s support the scheme by allowing their employees time off – for a two hour session, the employee puts in one hour of their own time whilst Tesco contributes the other hour as an hour off work.